Former U.S. 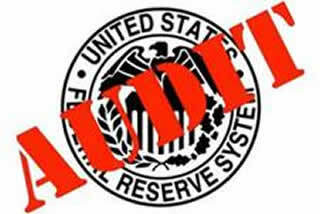 Congressman Ron Paul’s "End the Fed" message suddenly resonated. Americans hated Fed officials bailing out the banksters – richly rewarding them for crooked and irresponsible behavior which helped create the crisis. That is why an article published last week in the Wall Street Journal came as a bit of a surprise. The headline is "We’ll Never Know How Bad the Federal Reserve Is," and it serves as a reminder for those who may have forgotten the Fed is NOT your friend. The big banks have prospered, growing larger and even more "systemically important," a term which means "too big to fail." As a regulator, the Fed is remarkable for its staggering ineptitude or for its total corruption. You decide which. Of course, the central bankers will tell us that secrecy is important for "maintaining independence" and "security" of the markets. These claims that there is a legitimate need for secrecy would be slightly more credible if it were for a limited time. That is not the case however. The Fed is, in many regards, a virtual black box which shall remain closed for all time, at least if officials continue to have their way. The most "interesting" works of the Wall Street elites in power there will never be published or examined. It is considered vital the public never knows about certain activities.